Do you like your 21st century green eggs and ham? “I do so like green eggs and ham! When Seuss (a.k.a. Theodor Seuss Geisel) wrote Green Eggs and Ham in 1960 it was pure fantasy, if not science fiction—the object of the tale being both nonexistent and beyond the food technology of the times. Now, however, everything is turning green. 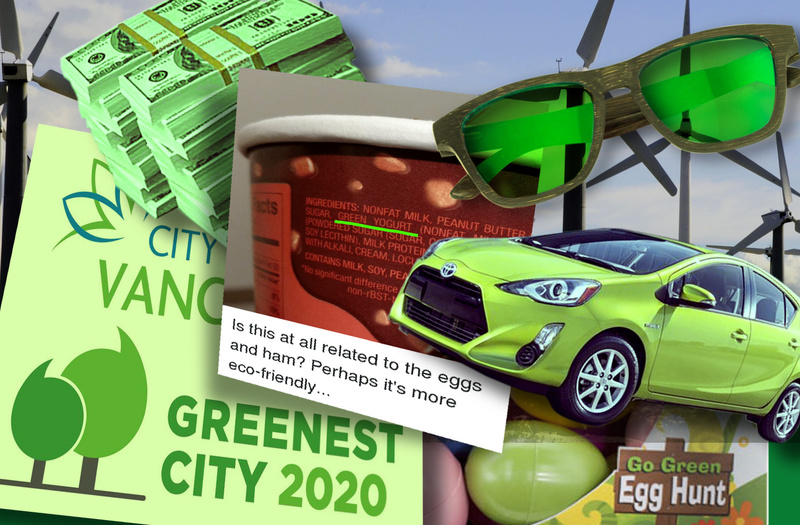 A person can live in the comfort of their green, energy-efficient home—paid for by the dividends of their green, sustainable investments—while using electricity from green, renewable energy sources (such as windmills and solar power) to both charge their green, electric vehicle and, yes, cook their green eggs and ham. Of course, by “green” eggs and ham I mean the many brands of environmentally-friendly, 100-percent plant-based vegan eggs and vegan ham that are now available in stores. Oh. You didn’t actually think that the “green eggs and ham” in Dr. Seuss’s story were literally green, did you? This year, many Americans, wanting something really special in the way of green ham this U.S. Thanksgivings Day, will have tucked into a festive, rosemary-seasoned and wood-smoked watermelon! I bet Dr. Seuss never imagined anything as green as that! There are even “green”, eco-friendly Easter eggs. Soon it will be the stubborn few who won’t eat anything but green eggs and ham that will have children’s stories written about them. Click the image to enlarge it. From → Books, Food, Vancouver B.C. Will be sharing this with my stepson and grandkids, all of whom got the full Seuss treatment. I actually sent Chris a photo of the original Mulberry Street in NYC when I found out that it had been a buzz centre for Italian immigrants, thereby solving his “mystery” of the choice of the name Marco for the protagonist of To Think That I Saw It On Mulberry Street.Great literature persists and folds back on life’s experiences. Be Well. Green egg and ham? It reminds me of the movie Soylent Green. Remember the movie, fiction still eekey! I will pass watermelon included. Soylent Green (“is made of peeeople!”) is a scary movie—part of a 1970s mini-genre of depressing, dystopian science fiction films, including Logan’s Run, Silent Running and Zardoz. Arguably, though, watching the star of Soylent, Charleton Heston, play a Mexican attorney in the otherwise brilliant 1958 film Touch of Evil, is perhaps a scarier movie-going experience. I had forgotten that Edward G. Robinson was in Soylent Green—reason enough to watch it again, in spite of Chuck Heston. Yup yup yup … a more realistic true to life scary movie watch Shake Hands With The Devil, a canadian military man sent to war used as a pawn children used as killing machines etc….